– Art has been a constant throughout my life since childhood: bringing me into new places and introducing me to new people. I’ve been photographing a daily photo blog for the past 4 years and it’s how I continue to explore the world. – During this residency, I’m working in a variety of photographic mediums to capture the breadth of the current high tech construction buzz and share that with the public.. I have spent the majority of my time doing pinhole photography of prefabrication and job sites run by Cannistraro and Harrington Air Systems. 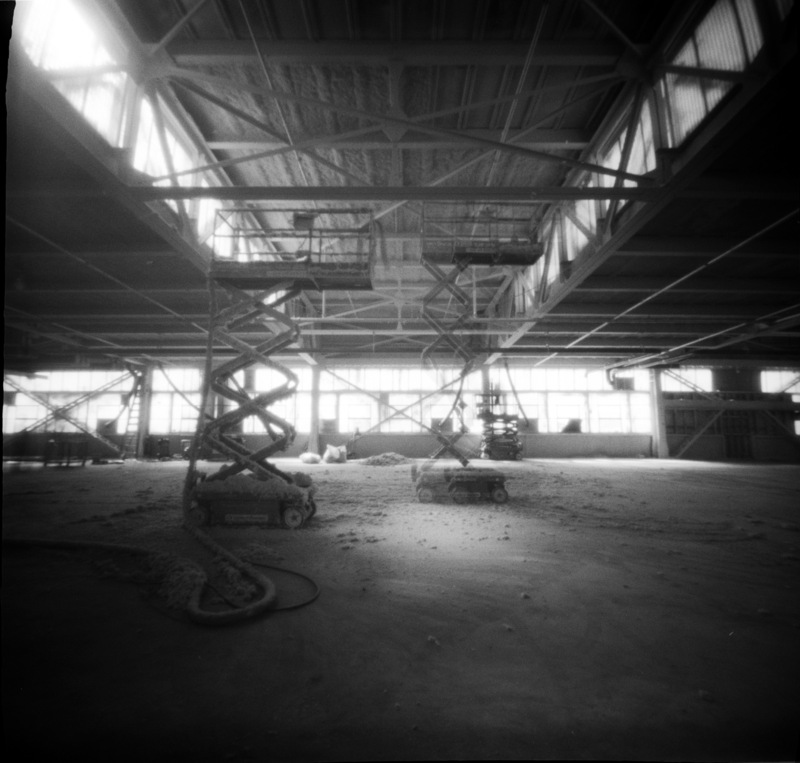 These long exposure pinhole photographs capture blurred motion that I hope can convey the feeling and sounds of the work sites. Working with my wooden pinhole cameras is a slow and material process that feels lasting and a good conversation starter at construction sites. – I was first interested in capturing the motion and energy of construction using this residency to get unique access behind the scenes. After meeting more construction workers, I also feel driven to share what’s happening inside construction sites with people outside. To do this, I’ve been making portraits of construction workers and created time lapses of prefabrication processes. I might try to turn these photographs into large wheat paste posters I could put up around Cannistraro’s buildings or use them to create small art books / zines. I am also planning to work on creating some educational camera obscuras to teach about photography and I want to experiment with more homemade pinhole cameras inspired by equipment I’ve seen while working on this residency. 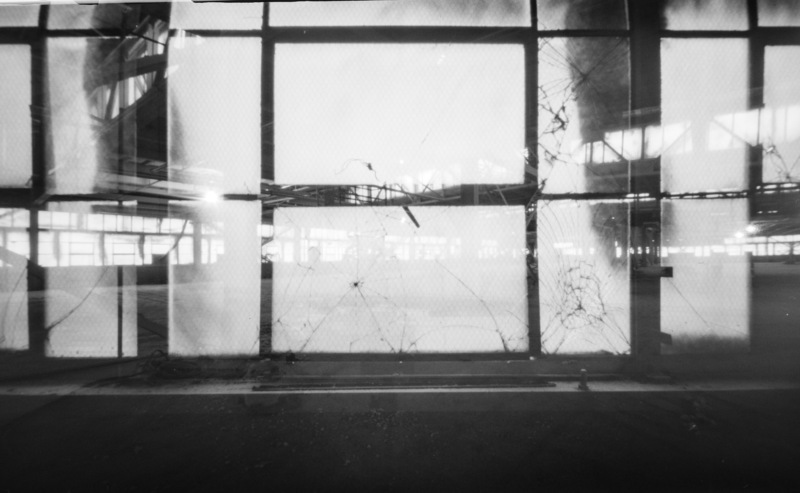 – Pinhole photography is a way to slow down and simplify my photographic process. It allows me to take a step back and look at why I became interested in photography in the first place. I learned about pinhole photography in a middle school art class and have continued to experiment with wooden pinhole cameras through high school, college, and into adulthood. – I think of photography as a way for me to learn about the world and then share those ideas with others. I get a lot of satisfaction trying to create visually appealing work that celebrates the history of places with the current use. – Outside of this residency, I work as a documentary and commercial photographer and filmmaker. – I also rock climb next door at Central Rock and am an avid runner.